LOS ANGELES - Oct. 5, 2017 - PRLog -- The United Premier Soccer League (UPSL) is excited to announce Provo Premier Soccer Academy as a new member starting with the 2017 Fall Season. Based in Provo, Utah, Provo Premier SA has begun play in the UPSL's Desert Mountain Conference. United Premier Soccer League Commissioner Yan Skwara said, "Welcoming Provo Premier to the UPSL is an easy thing to do when you look at their success on the regional level. We're excited they have decided to join the exciting new Desert Mountain Conference, which stretches from Boise to Utah, Las Vegas and Arizona. We see good things for Provo Premier in the UPSL and wish them the best of luck as the club gets its UPSL start." Provo Premier Soccer Academy is owned and operated by Emmanuel Palacios, a graduate of Provo High School and a former long-time semi-professional player. Provo Premier Soccer Academy Owner Emmanuel Palacios said, "This is something different for our players, and something different for soccer around the state of Utah. My coaches like the idea of joining the UPSL because it presents new challenges to our players. That is what we want." Palacios, 44, now is a mechanical engineer. A native of Mexico, Palacios has operated Provo Premier Soccer Academy since 2008. The club has played in a number of regional leagues but was ready for a bigger challenge playing in a professionally-organized league. "We were looking for something better," Palacios said. "The UPSL is professional and legitimate." The team is exploring venue options in compliance with the UPSL's Minimum Standards. The club will soon announce its upcoming game schedule. 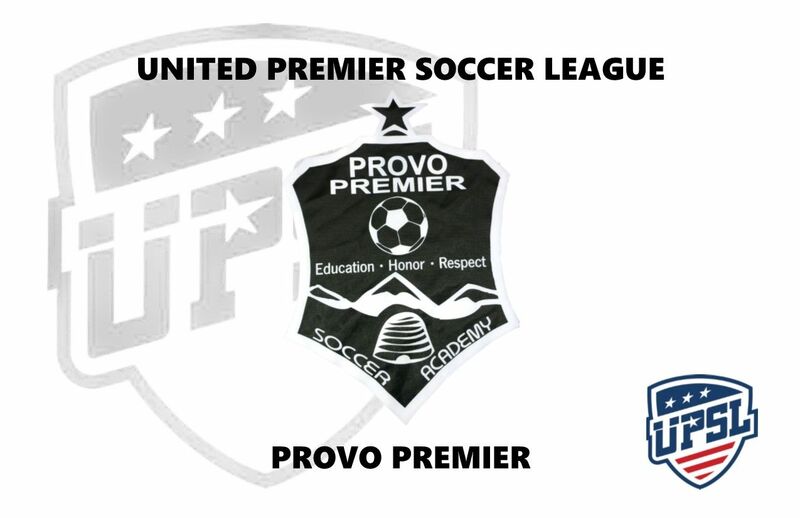 Provo Premier Soccer Academy is an American soccer club currently based in Provo, Utah, and a new member of the United Premier Soccer League. Provo Premier SA has begun play in the UPSL's Desert Mountain Conference. Founded in 2008, Provo Premier SA can participate in the qualifying rounds for the Lamar Hunt U.S. Open Cup through its affiliation and membership with the UPSL, the U.S. Soccer Federation (USSF) and the United States Adult Soccer Association (USASA). The UPSL was formed in 2011 and currently includes more than 90 teams in Arizona, California, Colorado, Florida, Georgia, Idaho, Massachusetts, Nevada, New Jersey, New York, North Carolina, South Carolina, Utah and Virginia. UPSL is the fastest growing Pro Development League in the USA, with 100-plus teams targeted for 2018 Spring Season. Each UPSL team is individually owned and operated, and is responsible for maintaining either UPSL Pro Premier Division or Championship Division minimum standards.